Woo-hoo! 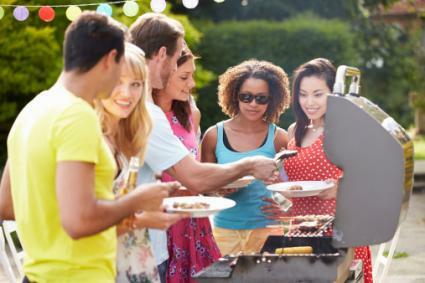 You're throwing the perfect summer party. But the problem is...you're a perfectionist. Your overwhelming stress about getting all your ducks in a row will make it totally un-fun. If anyone even shows. The truly perfect party starts with this simple and fun (yes, thorough) planning process. Go to your perfectionist happy place: your memory bank of worst-case scenarios and all the horrible party disasters you've ever witnessed. Dredge them all up! Relish the recollections: activities that bombed out, obnoxious guests, tacky decorations, and clunky social dynamics. Savor every item on your good, long not-to-do list. Delight in all the mistakes other hosts have made. Write all of it down. Your party will kick their parties' butts! Go to your other happy place, the place of ideal thoughts and feelings. Imagine all your favorite summer party moments: games in the cool breeze and sunshine, engaging guests, contagious laughter, irresistible cuisine, and colorful surroundings. Jot it all down. Your party will be a compilation of all of these superb elements. Sure, standard summer refreshments are always a winner, but you can go one better. As a food snob, you need to up your game. 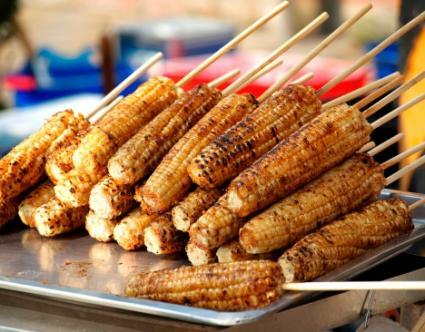 Set out frou-frou dipping sauce for skewered, grilled corn on the cob. Garnish your cocktails with in-season fresh fruit. Marinade your grilled meat with mango sauce or fancy spices. Think: how can I top "good"? It's a once-in-a-lifetime taste extravaganza for your guests. Strapped for cash? A slender wallet isn't a death sentence for excellence. Make lemonade out of lemons, make soup out of stones. In fact, remember Stone Soup? Just have each guest bring a seasonal summer treat from the farmer's market or grocery store. It needs to wow everyone. It creates the optimal environment. It requires minimal set up and clean up. Place a huge, beautiful, centerpiece in a central area to draw guests to gather and chat. A dramatic, colorful summery floral arrangement or scented pillar candle circled with little votive candles will heighten elegance. If your inner over-achiever is nudging you, go for a chocolate or punch fountain for a magical feeling. For a beachy theme, an over-sized beach ball or sandy backdrop will amuse everyone. 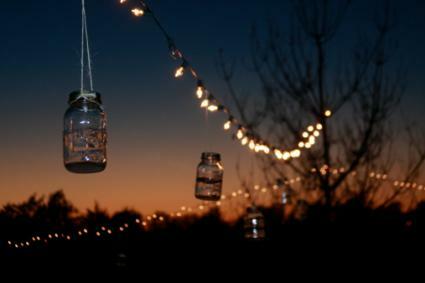 Or, hang one string of unique, festive lighting around the border and add some cute Mason jar candle lanterns. Voila, done. Yes, yes, your music taste is The Best. All the same, it's not sufficient to just crank up the speakers and impose your all-time favorites on your victims--I mean, guests. Set a tone that creates social connections, not barriers. Make sure the volume doesn't hinder speech. Broadcast an upbeat playlist long enough to match your party's duration. Guarantee your superior musical influence will reign over the party with the least effort by creating a superlative play list and let it fly. Later in the evening, switch to another self-made play list with soft ballads. It won't disturb your neighbors. It will enable new memories and even new romances to blossom. Arrange a big, open section for the physical-action oriented guests to dance or play sports. Off to the side, have the food spread with comfy seating for the conversationalists. Inside, set up a room with a film or video where mega-introverts can retreat. Put in a summer time classic or two, like Grease or Dirty Dancing. Consider another room with coffee table books and photo albums for semi-introverts to congregate and discuss. The utopian party includes guests who will 1. Enjoy the event. 2. Enjoy each other. You want to invite people you like... but that loud, opinionated fellow who's lonely and going through a divorce? Don't invite him. No one, including him, will benefit from his attendance. If you're aware of tensions between two of your invitees, make your guest list visible and let them decide. Don't take too much responsibility, dear people-pleaser. Good news! Structure is actually imperative. Zero organization causes unpredictability and anxiety for you and them. Okay, now, don't get carried away. An itinerary that's too restrictive does choke guests. Hint: You and they will breathe easier if you actually enforce it. Don't be a partyr (party-martyr). Let go, control-freak! If you do everything yourself, you'll miss all the fun and kill all the joy. Assign people with skills to small tasks. If a guest leans toward the wallflower side, they will praise you and the heavens above for letting them help. It gives them a way to participate and feel included without standing awkwardly by the punchbowl. Yes, control! The exemplary host prevents guests from suffering. A lot of people are going to show up with imperfect emotions if you don't warn them that they may have to walk 20 blocks for parking, or encounter extra fees or drink minimums at the venue. Anticipate anything that could rob your guests' comfort and safety. Cover food to keep the flies away. Provide guests with bug spray, umbrellas, blankets, chairs, and extra jackets or sweaters. See? No need to worry about getting your ducks to march in formation. 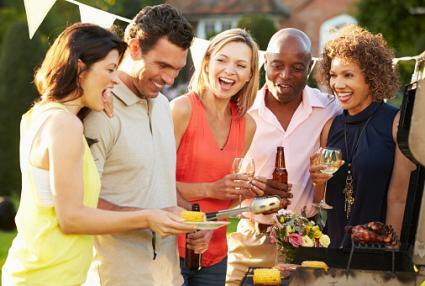 You and they can swim around freely, mixing and mingling at your matchless summer get-together.